Of all the Cotoneaster trees available, the Cornubia is a particularly outstanding one. It is that good that the RHS gave it an Award Of Garden Merit and you should know that those folks are not easily impressed. You know the type, you turn water into wine in front of their very eyes and they complain it has a screw top lid! Expect an attractive flush of white flowers in the Summer but not that attractive that you can dash outside, hack some branches off and present them to your partner because it was their birthday or other special occasion and you forgot to get them something. Some ornamental gardeners will train the Cotoneaster Cornubia to grow over a trellis or other framework as the year round colour attracts the eye. A rather interesting small evergreen tree, Cotoneaster Cornubia is ideal for providing year round colour. Cornubia has attractive, green coloured leaves and large reddish fruits. 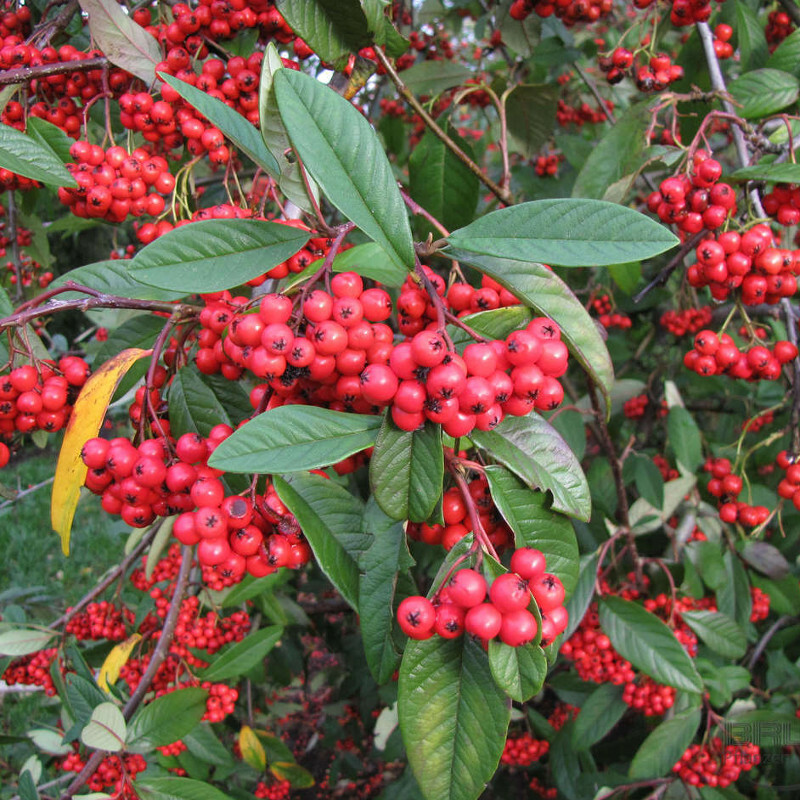 Although the birds and other wildlife will happily eat the bright red berries it produces, the Cornubia berries will give you a mild stomach upset if eaten. 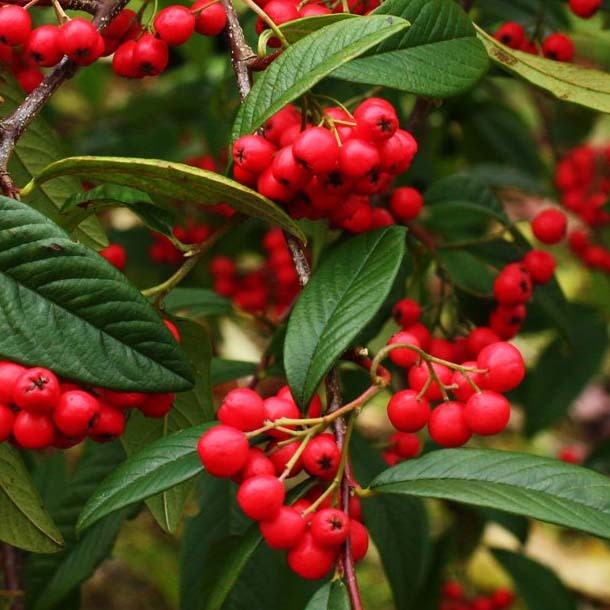 The Cotoneaster Cornubia will perform best in a full sun position in well drained clay or chalky, acid or alkaline soil. Standing water is about the only soil worry you should have and only then if it is for prolonged periods of time. 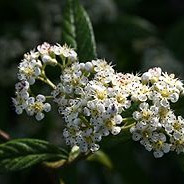 Should you be unfortunate enough to suffer hosepipe bans and water shortages in your area then the Cotoneaster Cornubia is a good choice as it has good drought resistance qualities. Cotoneaster Cornubia can also be planted on coastal locations. We mean normal gardens close to the coast, not shifting sand dunes, salt marshes and Tsunami research locations. Pruning is easy for the Cornubia as it does not actually require any but some occasional thinning will promote new growth. You should always prune out dead, diseased or crossing branches anyway and best to do this in the winter. The Cornubia is considered to be UK hardy which means you can plant it anywhere in the UK and it should tolerate frosts without major issue. Expect this tree to reach a height of 4m (13ft) after 10 years, therefore, this tree is well-suited to the smaller garden. It may go on to grow a little more but this is dependant upon local weather and soil conditions. Manual pruning and shape training will of course keep the tree to your desired height and shape.